Kohli came out to bat in the second innings after the fall of opener K L Rahul and was jeered by a small group of Australian fans. 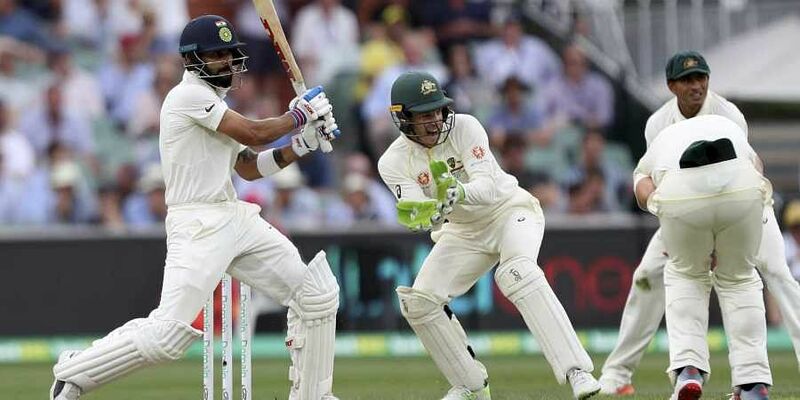 ADELAIDE: Virat Kohli was booed by a small section of the Adelaide Oval crowd when he stepped out to bat in the second innings against Australia, an act that has been criticised by rival batsman Travis Head and former skipper Ricky Ponting. Kohli came out to bat after the fall of opener K L Rahul and was jeered by a small group of Australian fans. He received similar boos when he had headed to bat on the opening day. "I don't like seeing it at all," Ponting told cricket.com. au after Kohli scored 34 runs in a 104-ball innings before being removed by spinner Nathan Lyon just before the draw of stumps. "It didn't worry me as a player when it happened in England a couple times. You've almost got to accept it as acknowledgement for what you've done in the game. But I'd rather not see that happen at all." In the past, there have been many instances of crowd booing Kohli. In fact, the India skipper was booed by Edgbaston crowd during the first Test against England this year. During his first tour to Australia in 2011/12, Kohli faced the wrath of the crowd at the Sydney cricket ground. He was fined 50 per cent match fee after he showed his middle finger to the crowd.